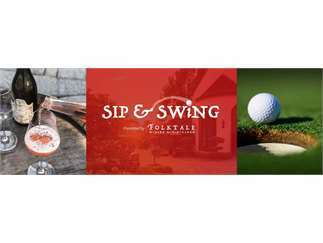 Folktale Winery & Vineyards will form the backdrop for ‘Sip and Swing’ on Thursday, April 4, benefiting Special Olympics. Exclusively for this event, Folktale’s Barrel Room and Rose Vineyard will be transformed into a 9-hole mini golf set that's fun for golfers and non-golfers alike. Guests will also enjoy a variety of Folktale’s award-winning wines, handmade bites and the opportunity to mingle with industry leaders, law enforcement personnel and community members. Most importantly, proceeds from this event directly support Special Olympics’ work to enrich the lives of Monterey County children and adults with intellectual disabilities through sports, education, and inclusive health programs.